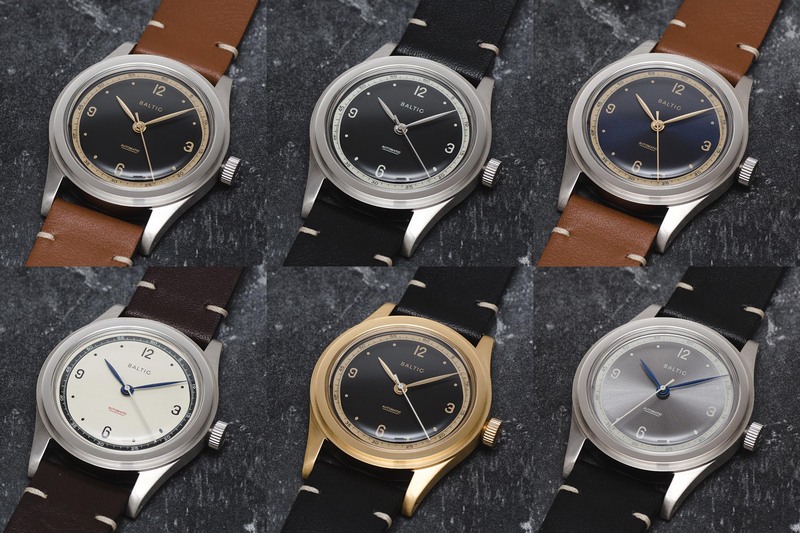 It seems there is no shortage of watch projects on Kickstarter these days. 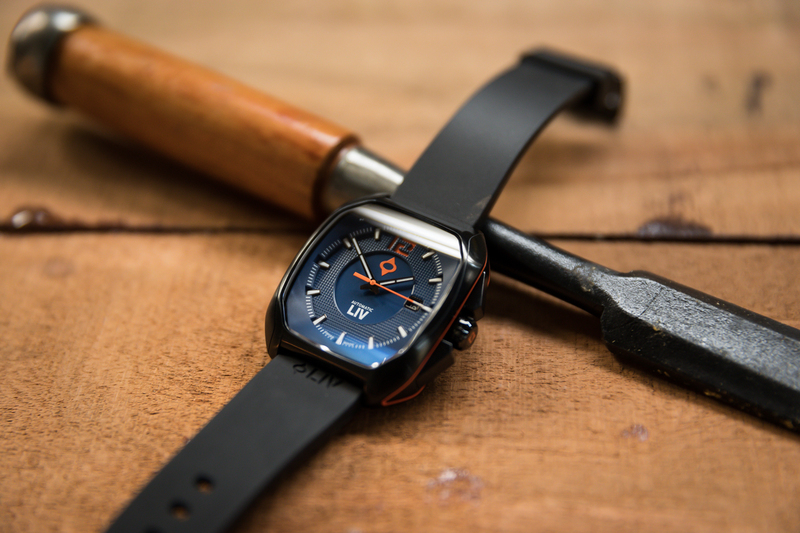 Whilst some elicit a yawn at best, others genuinely try to do something cool and unique and have gone on to become real success stories, like REC Watches. 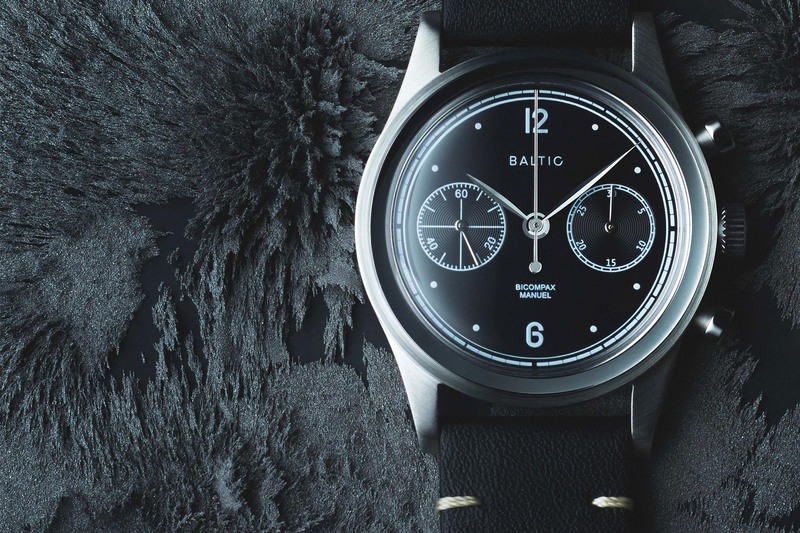 Today we’re showing you a highly anticipated project that has just launched from newcomer Baltic Watches, featuring two seriously cool, neo-vintage style watches with step-cases inspired by the minimalist designs of the 1940’s. 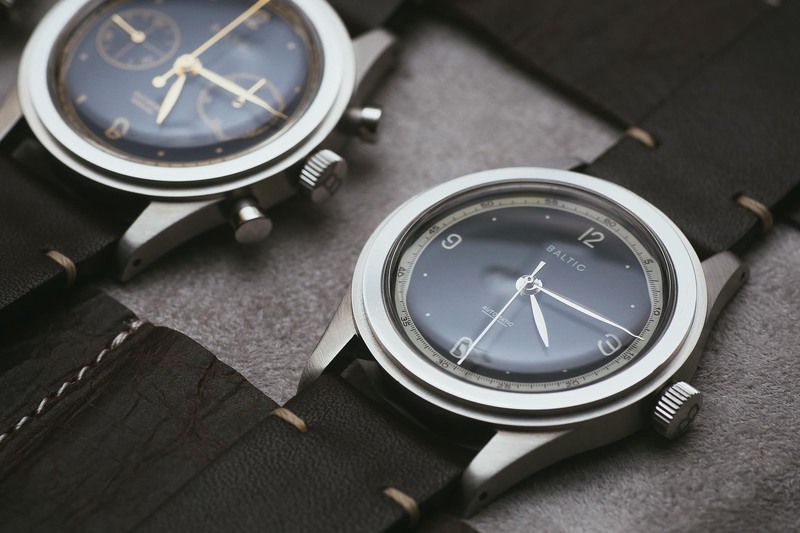 There are two Baltic models to choose from in the Kickstarter campaign; a two-register, manual-wind chronograph and a simple, three-hand automatic. 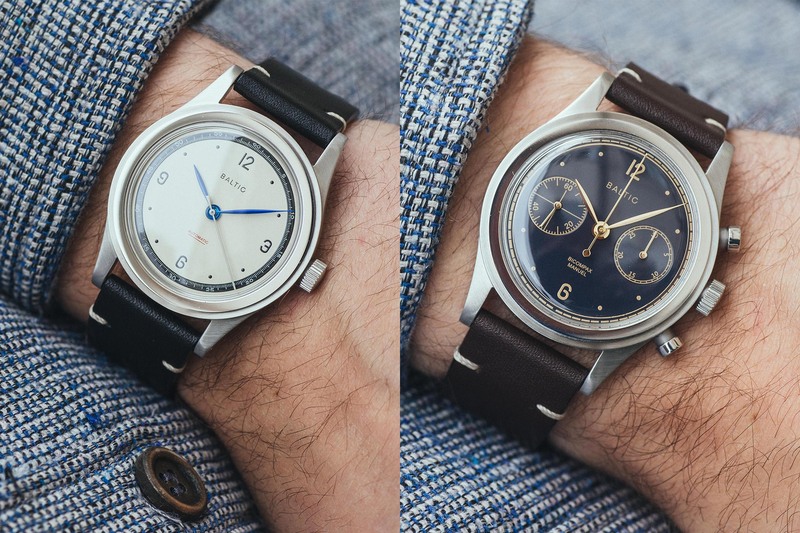 Both models are offered in a slightly undersized (depending on your preference) 38mm, stainless steel case complete with a high-domed hesalite glass. The focus here is on simplicity, a less is more approach that really seems to work. I can’t put my finger on one element specifically but the watches just look cool, they just make me want to strap one on my wrist. Although the designs are relatively simple, the attention to historic detail is evident everywhere. 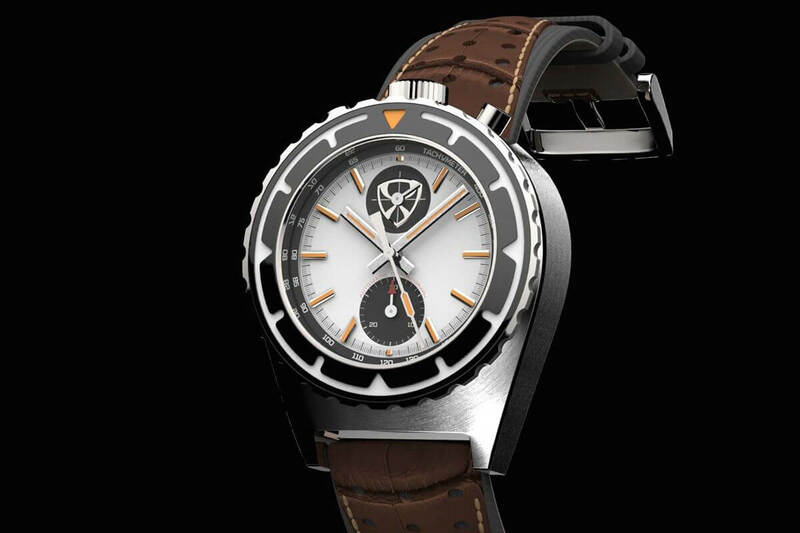 Each Baltic model has six different dial variations and all of them only feature two, maximum three colors. The stepped case adds a sense of depth, which is particularly emphasised by the mirror polishing on the last step on the case. The sides of the case feature linear brushing, while the lugs have been circular brushed. All in all, these small touches come together to make an otherwise plain design quite interesting. 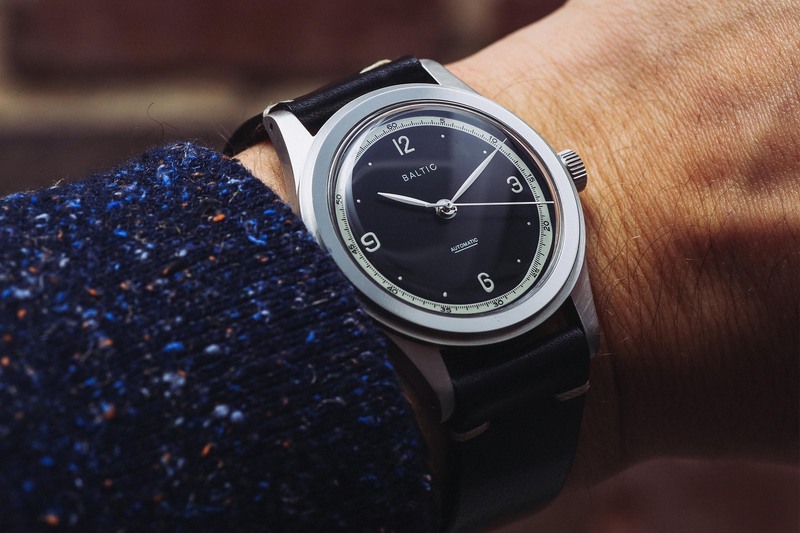 Inside the Baltic watches we find two different but reliable movements. 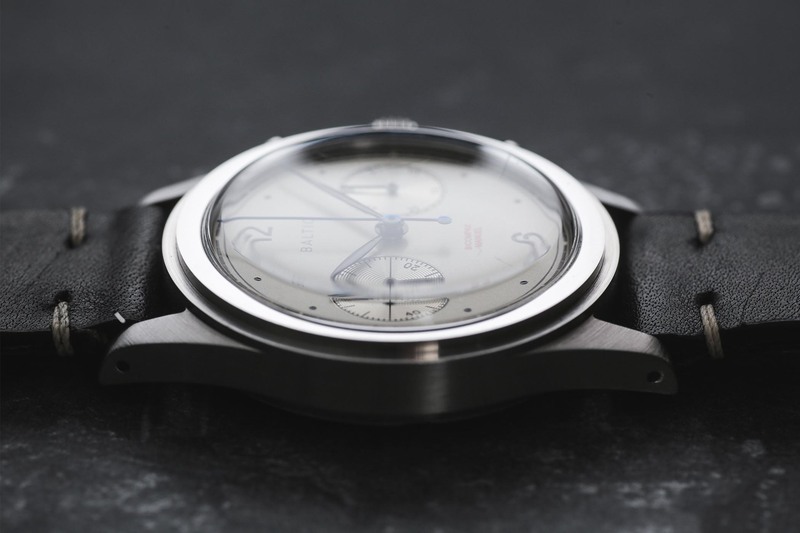 The chronograph is powered by the manually-wound, Chinese-made Seagull ST-1901, a Swiss-inspired, column-wheel chronograph movement that offers 45 hours of power reserve when fully wound. 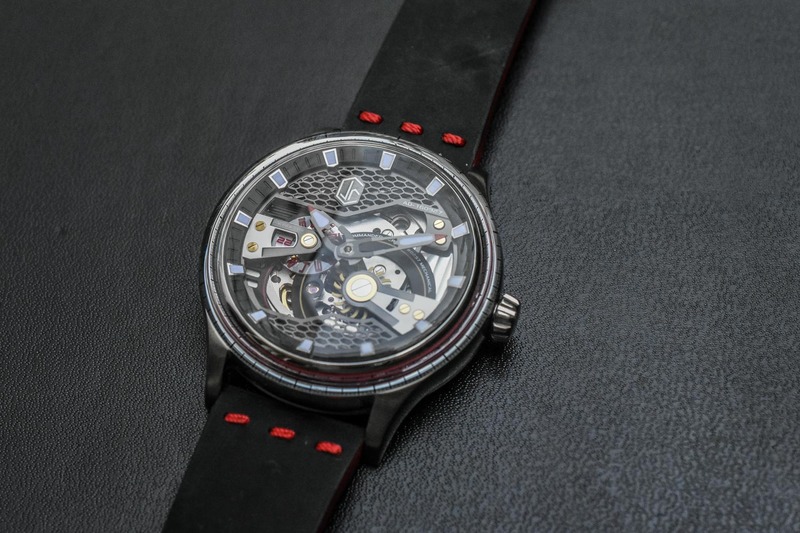 The three-hand automatic meanwhile is powered by the highly reliable Miyota Cal 821. Neither movement is particularly outstanding from an architectural or finishing point of view, however, both are solid work-horses that will get the job done and this is reflected in the pricing. 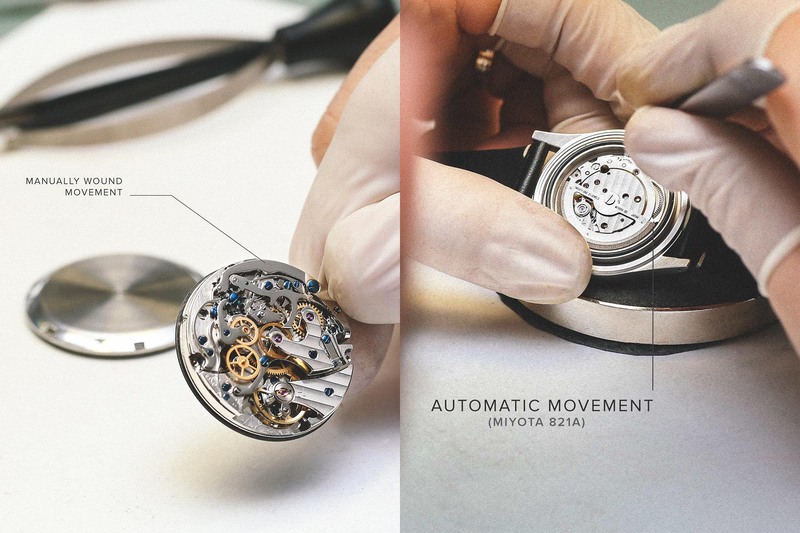 To ensure quality standards are maintained, all watches are assembled by hand in France, near Besançon, by a family-owned company that has been in the watch-making business for over four generations. 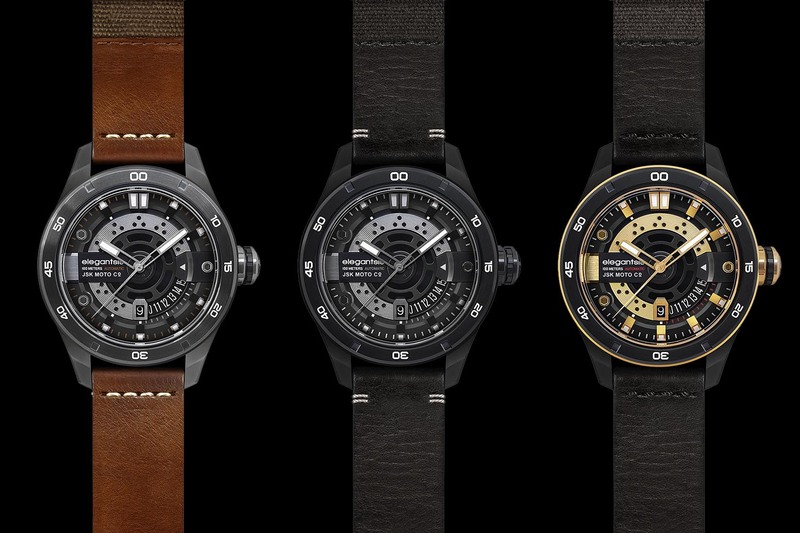 The watches come complete with vintage-inspired leather straps, made from Italian calf leather by French craftsmen who reportedly also make straps for other well-known watch brands. They are fitted with a brushed, stainless steel buckle with the brand name engraved on it. 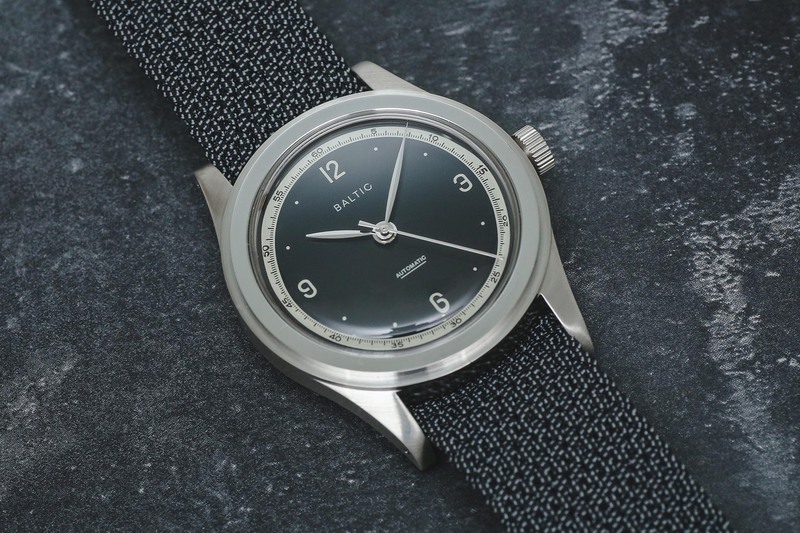 For an extra 15€ you can also opt for a lovely two-tone Perlon strap from Baltic, made from a complex braided nylon composite. 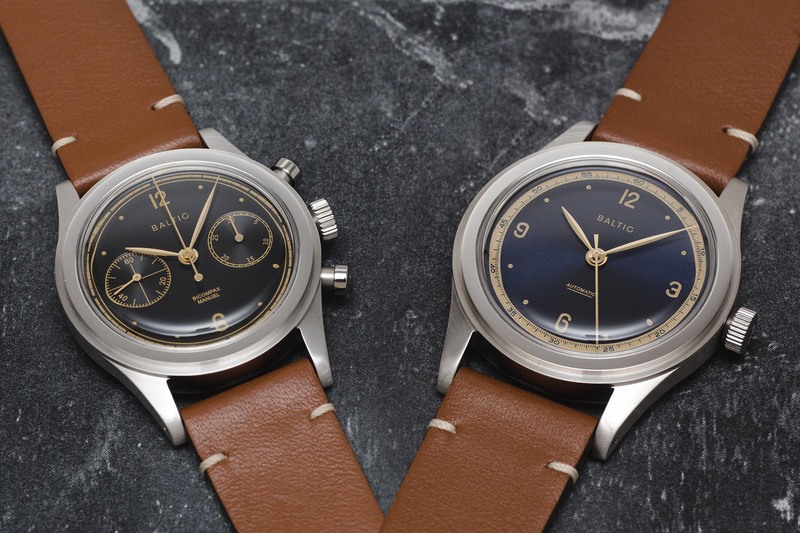 The Perlon gives the watches a slightly more relaxed feel and really suit the vintage aesthetic. Finally, the watches are presented in a display box made from a rather unusual material; cork. Apparently this organic and natural material represents the ethos of the brand and, if nothing else, will offer a nice talking point for when you are showing your friends your new watch. As of today the project is live, with the goal of raising EUR 65,000 in total. It’s a big challenge but definitely achievable, so if you like what you see go check out the Kickstarter page for more details. 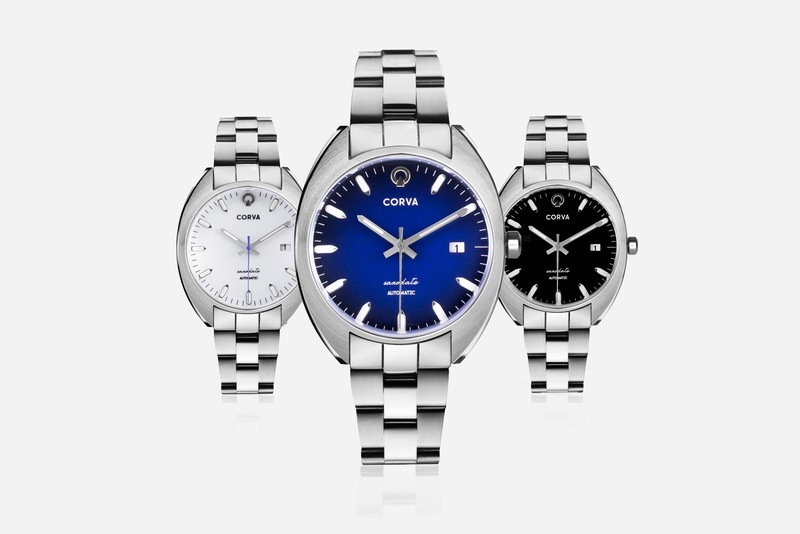 Who knows, maybe you’ve just found your next watch? 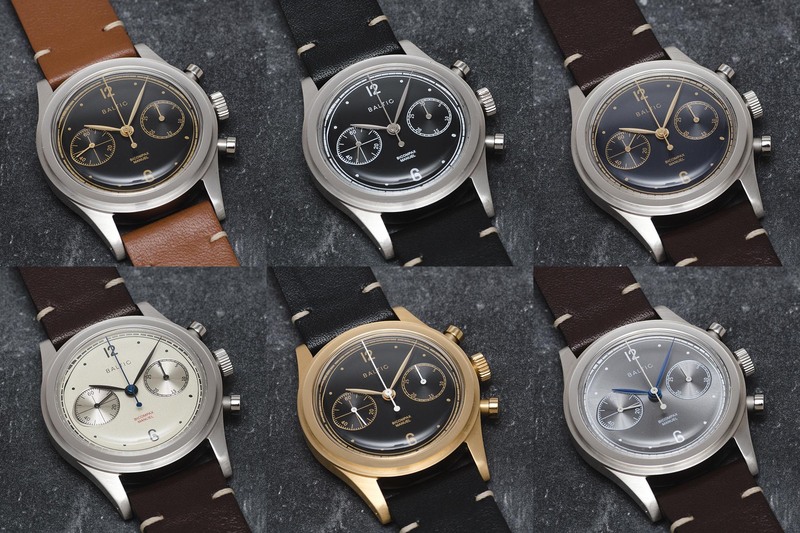 prices start at EUR 239 (early birds) for the 3-hand version HMS 001 and EUR 399 (early birds) for the chronograph version BICOMPAX 001.